Decorative Keystone edger pattern concrete mold set of two molds. 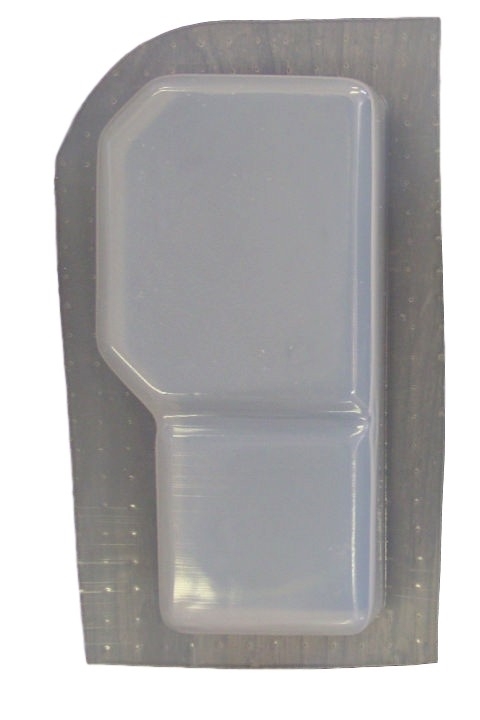 The edge stone concrete mold is approximately 4 1/2 inches by 8 inches long and 1 3/4 inches thick. If you want to purchase additional keystone concrete molds without the edger please check out item number 2042 to pick up additional concrete molds.